We have had hundreds of satisfied customers. Individual results may vary but see below for what some have experienced through our treatments. Rid yourself of the visual signs of ageing that time has left on your skin. Revolutionary light technology is a gentle and efficient way to reduce the appearance of fine lines and wrinkles, scars and other imperfections. Treatment therapy can be administered on the face, neck, abdomen, and hands where the sun has ravaged your youthful appearance. By creating a mild trauma between the epidermal and dermal layer a natural healing process is triggered in the body which enhances the production of new collagen reducing or softening those imperfections leaving you with a more radiant appearance. 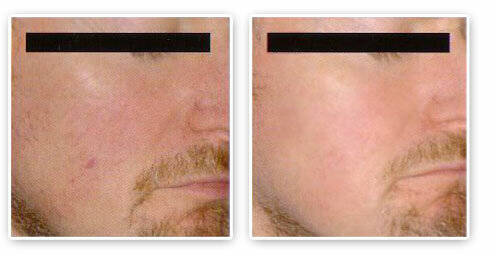 This non-invasive treatment requires no down time and can be easily completed during your regular lunch hour. Please contact one of our treatment consultants for more details.